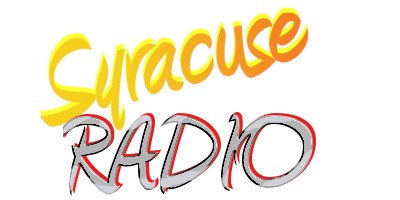 62 WHEN - The First Radio Station In Syracuse To Host An Annual Bridal Show Where Prospective Brides, Grooms and Their Families Could Shop In One Place For All Their Wedding Day Needs --- From Limos to Cake Bakers... They Were All There... And, of Course, With 62 WHEN, Great Prizes Were Never Far Behind. 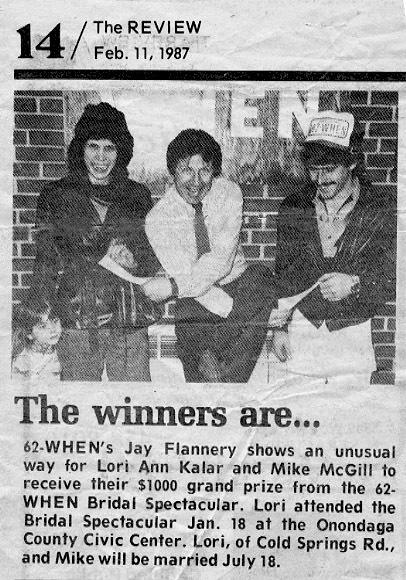 In This Clipping From The Liverpool Review, Photographer Sharon Fulmer, Catches Afternoon Air Personality Jay Flannery Presenting (Unconventionally) The Grand Prize Winners With Their Checks In The Station's Lobby.